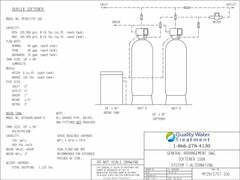 Commercial Water Softeners - What You Need to Know Before You Buy! 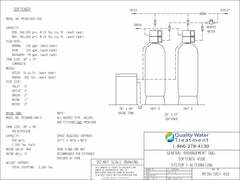 INDUSTRIAL COMMERCIAL WATER SOFTENER SYSTEMS. 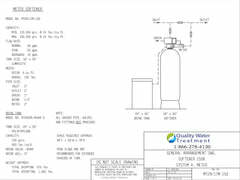 Quality Water Treatment Commercial Water Softeners use premium ion-exchange resin to remove calcium, magnesium, iron, and manganese ions from your commercial or industrial water supply. 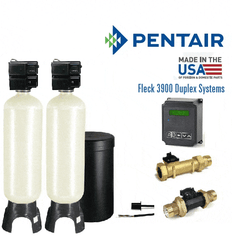 In the end, you can run your business more effectively using fewer detergents and cleaners, reducing the hard-water build-up inside pipes and machinery and saving equipment from unnecessary wear. 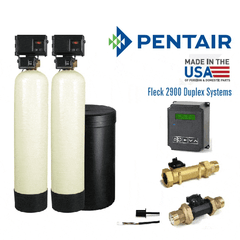 Looking for a whole house residential system? 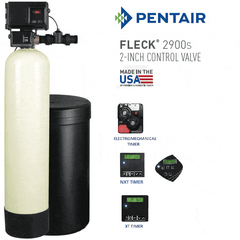 These Fleck metered water softeners are one of our top sellers.